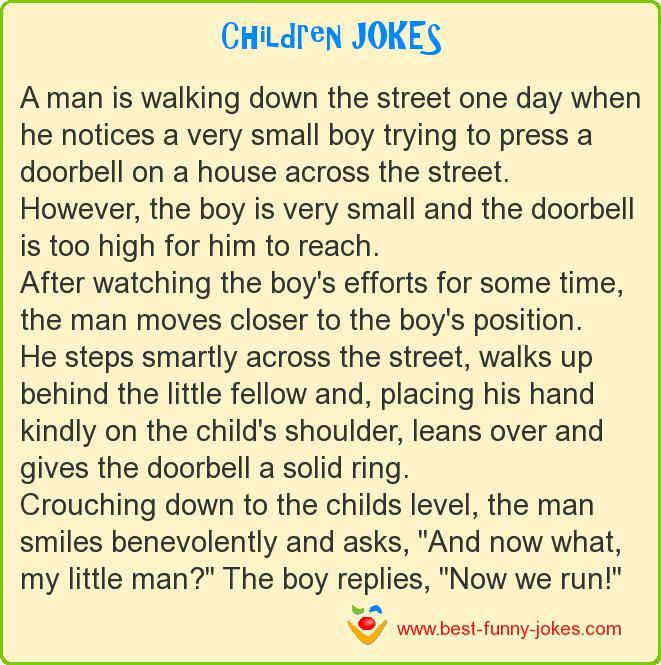 A man is walking down the street one day when he notices a very small boy trying to press a doorbell on a house across the street. After watching the boy's efforts for some time, the man moves closer to the boy's position. Crouching down to the childs level, the man smiles benevolently and asks, "And now what, my little man?" The boy replies, "Now we run!"